Loving kids is so much more about them than it is about us. As a teacher, I used to think working with children was filling them up with all the things you wanted to them to know and planning their every activity. Then at some point, I realized it was just the opposite. You let them fill you up with the things they know. You observe them, join them in their world, and help them by understanding more about who they are. When they’re your own children and grandchildren, you just breathe in their world. Every moment is precious; every conversation, a discovery process. What can you learn about this little being who is your very future? Whom did God entrust to your care? These are questions that will bring you to a place of awe and absolute joy, if you let them. This week, I embarked on a series of adventures with two of the dearest gifts of my life: Stella and Malaya. 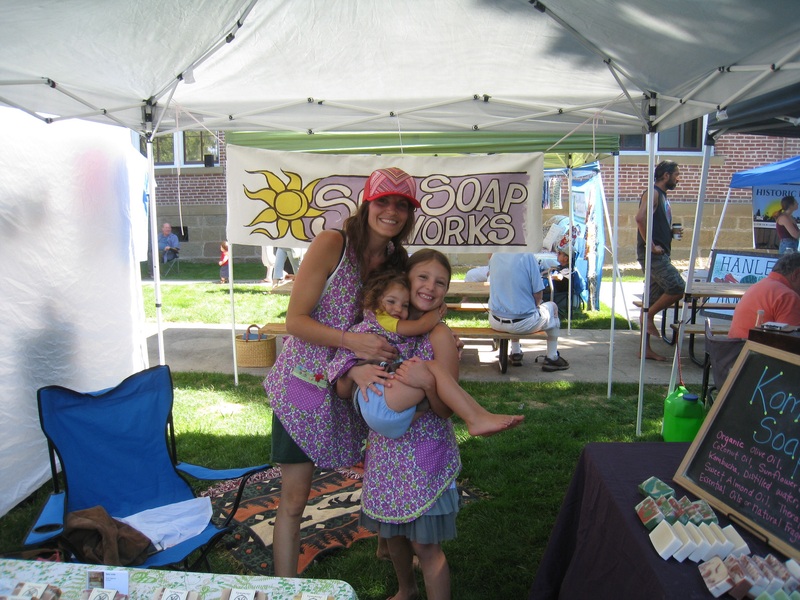 Here they are with their mother Kelly selling soaps handcrafted from wine, honey, and kombucha for Soul Soap Works, Kelly’s new business. My visit started with a couple of texts from Stella that read, “Can we go swimming? 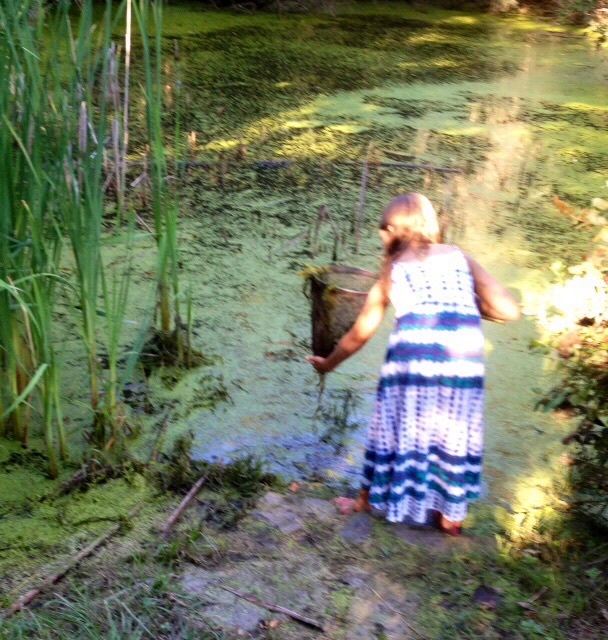 And can we go catch frogs?” (Sure, what grandmother doesn’t dream of frog hunting with her granddaughter!) 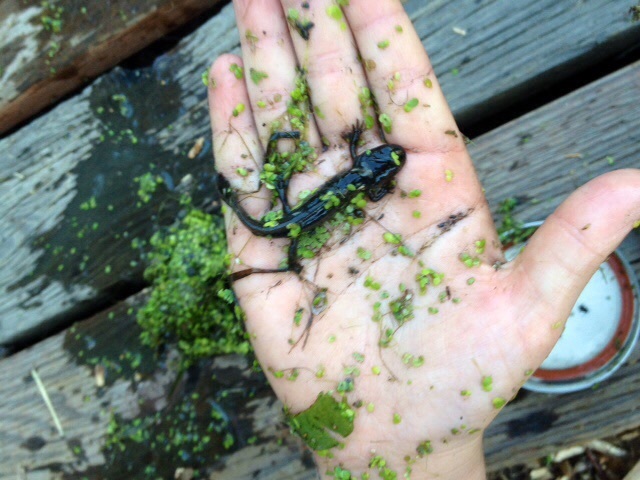 So Stella and I spent three days at the nature center, slogging through ponds bursting with algae in search of frogs, tadpoles, salamanders, and even baby dragonflies and swallow tails. 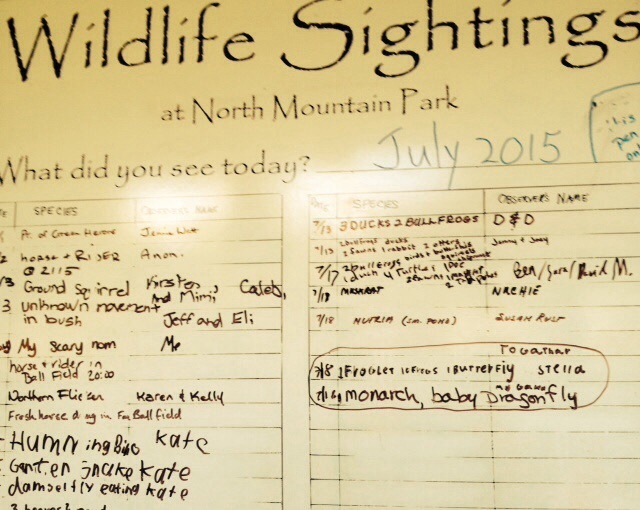 We made a partial list of our discoveries on the center’s observation board. 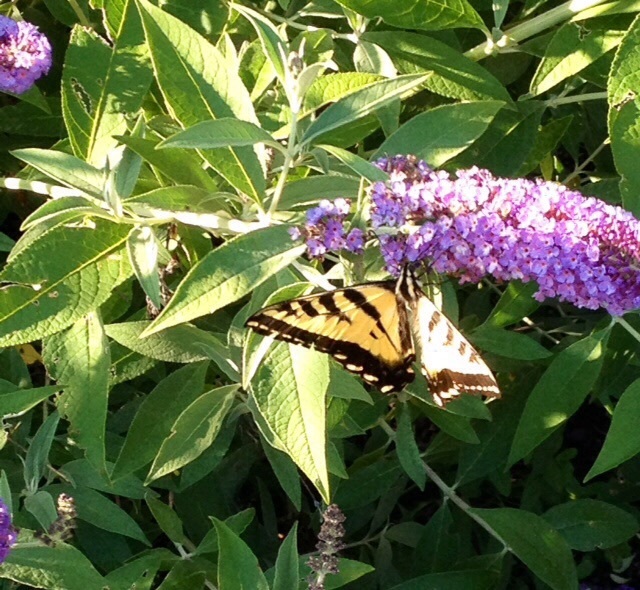 Along the way, I learned so much about Stella, and her amazing knowledge of the natural world. For example, did you know that baby dragonflies live in the water and shed their exoskeletons to sprout wings? In contrast, time with two-year-old Malaya was a of a gentler nature—with a series of dolly birthday parties. These emerged when Malaya offered me a ball of play dough saying, “Cake?” I added some birthday candles, and she went to get a couple of dolls to join us. We sang “Happy Birthday” and started the whole process over again several times.